Commercial airliner ‘crabbed’ in cross wind landing (up to 17 knots) just before straightening out for touchdown. Pilot must reverse rudder and ailerons to counteract tendency for wings rotating i.e. losing and gaining lift on opposite wings. 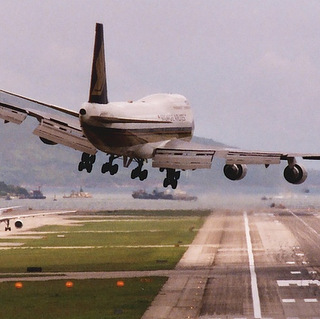 Landing in a cross wind is generally considered one of the most difficult but routine flight operations. Anyone who has been a passenger in such a high cross wind landing has witnessed fellow passenger cheers and clapping congratulating the expertise of the pilot! A pilot capable of such a landing can be expected to correctly perform other behaviors within that skill cluster. BARS (Behaviorally Anchored Rating System) had been used for decades and currently is used to routinely re-qualify pilots who have not flown particular aircraft. An over-the-shoulder viewing by a flight instructor grade co-pilot corroborates and rates requisite skills for a specified aircraft. It is similar to BASA Behaviorally Anchored Self-Assessment in its use of anchored behaviors. Ie…you cannot ‘fake’ a good landing in a cross-wind. We'll send you new papers and videos as they're published. You have successfully subscribed. Should receive your first newsletter soon!